Article first published as DVD Review: ¡Alambrista! – The Criterion Collection on Blogcritics. 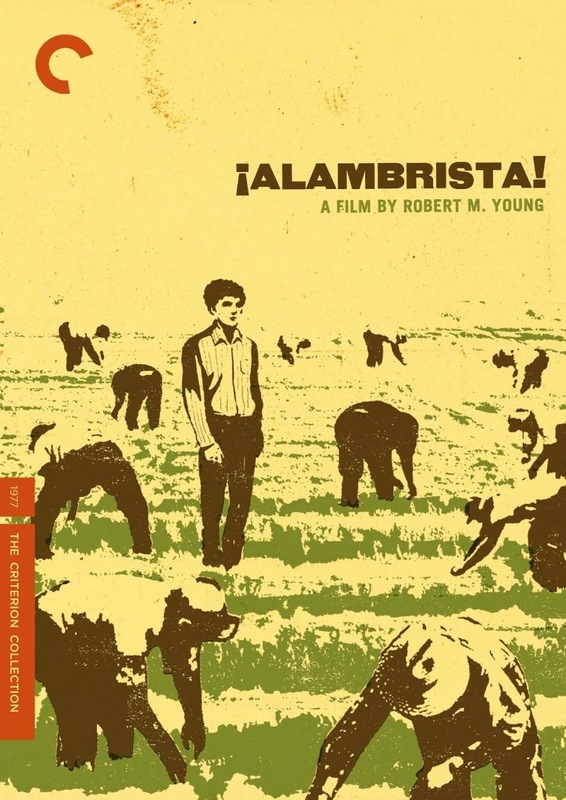 Written and directed by Robert M. Young, ¡Alambrista! tells the story of Roberto (Domingo Ambriz) and his journey into America to find work. At the beginning of the film, Roberto and his wife have recently become parents. They are barely earning enough money in their native homeland of Mexico to put food on the table. Roberto announces he is planning to sneak across the border in an attempt to secure steady work. His wife is reluctant to accept this vague plan, but she soon agrees it would be helpful for their family. ¡Alambrista! was released in 1977. As explained in the supplemental materials of this Criterion Collection release, the subject of illegal immigration had not been explored in U.S.-produced films at that point. Lest anyone be skittish about watching a political screed, director Young doesn’t take a stance either way. The film offers no hard anti- or pro-immigration message, at least not in anything approaching explicit terms. Instead, the charmingly simple tale focuses entirely on the matter-of-fact presentation of Roberto, a struggling worker and family man, trying to make ends meet. Young approaches his material from a near-documentary perspective. Everything about the film, from the no-frills cinematography to the uniformly naturalistic acting, emphasizes realism. In terms of action or suspense, not much happens throughout ¡Alambrista!. Roberto experiences several run-ins with immigration officials. He strains to pick up a few simple English phrases. His co-workers offer lessons on how to assimilate, advising him to always order “ham, eggs, and coffee” at restaurants (never beans). But the lack of excitement has no negative impact on the compelling narrative. Young captures Roberto’s feelings of being a true stranger in a strange land. He tries to look comfortable as an overly friendly café patron (Jerry Hardin) tells him a rambling story that Roberto can’t possibly understand, all while a police officer sits next to him at the counter. By keeping overt politics out of the movie, it becomes even easier to sympathize with Roberto’s plight. Domingo Ambriz is magnetic in a largely wordless role. He conveys his emotions so vividly, delivering a performance that would have worked just as well in a silent film. Most of the film is in Spanish with English subtitles, though most of the American characters speak English. Primary among them is the shy single mother and waitress, Sharon (Linda Gillen), who becomes friends with Roberto after she serves him coffee. Gillen manages to convey Sharon’s mixed emotions equally well. Ned Beatty turns up late in the film as a businessman interested in exploiting cheap Mexican labor. As events build throughout the movie, Roberto slowly reaches a point of catharsis that feels sudden yet believable, especially given the surprisingly personal nature of its catalyst. Criterion’s DVD includes a few very worthwhile supplemental features. The audio commentary, courtesy of director Robert M. Young and co-producer Michael Hausman, is engaging and informative. A recent interview with actor Edward James Olmos (who has a bit part in ¡Alambrista!) provides further background information about Young and Olmos’ experience on the film. 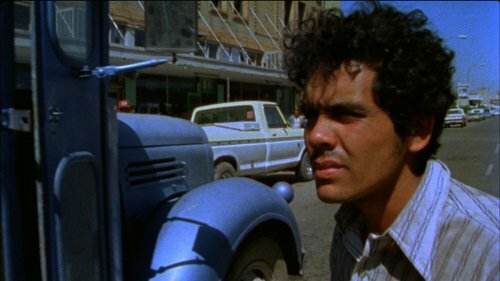 Young’s half-hour documentary Children of the Fields (1973) is included as well, a work that inspired Young to write ¡Alambrista!. A new interview with the director offers further insight into how making the documentary influenced his vision for ¡Alambrista!.